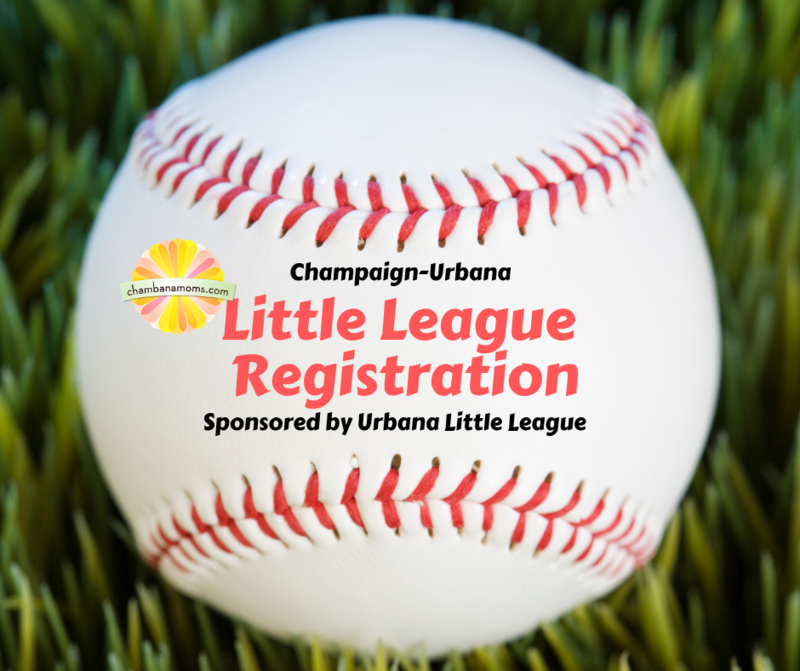 Thank you to Urbana Little League for sponsoring our guide to Little League registrations in Champaign-Urbana. Urbana Little League is open to boys and girls with birthdays between Dec. 31, 2006, and Sept. 1, 2012. Players of all skill levels are welcomed with the hope that everyone comes to learn and have fun! Online registration is underway here. As part of the CU Kiwanis program, you can register in person with other area-wide leagues in March. We also host a private registration just for Urbana Little League players that everyone is required to attend: March 6 or March 7 from 6-9 p.m. at the Phillips Recreation Center in Urbana. Assessments for Farm (ages 9-10) and Suited (ages 11-12) will be March 9 from 10 a.m.-noon at East Central Baseball in Champaign. All players for those levels are REQUIRED to attend. Questions? Email. Little League in Champaign-Urbana can be a confusing process, especially if you’re new to the area. So the goal of this guide is to introduce you to the “where’s” and “how’s” of C-U Little League, courtesy of James Weber, president of Champaign East Little League. How is Little League organized in our community? Little League baseball, for ages 4 to 12, is coordinated in the communities of Champaign, Urbana, Savoy, and Bondville through the Champaign-Urbana Little League (CULL). CULL has been sponsored in our communities by C-U Kiwanis International for the past 70 years. This sponsorship encompasses four separate Little League organizations. Local C-U Kiwanis volunteers provide the behind-the-scenes organization and continuity ensuring the 4 leagues are chartered and insured, and have funds to start each year with new baseballs, chalk and equipment. Kiwanis also handles the team and league sponsorships from the local business community. (If your local business would like information on Little League sponsorship opportunities please contact Greg Fink of C-U Kiwanis. The four leagues handle registration and volunteer coordination separately, and cooperatively schedule interleague play across the entire community. How do I sign up my son or daughter to play baseball and in which league? While the leagues cooperate and play many interleague games, there are four separate little leagues. A child should play in the league in which their home address is located OR in the league where the address of their child’s school is located. The four leagues and their email and website contact information are found in the following table, along with the name of the 2019 league president. To register in any of these leagues visit their website directly. The basic boundaries for the four leagues are depicted in the following image and are determined by the following five streets: Mattis Avenue, Wright Street, University Avenue, Neil Street and Route 45. You can use the League finder app here. What levels of baseball are available? The levels are called Tee-Ball, Peanut, Farm, and Suited. Age ranges are flexible and tailored to each kid’s abilities. What can I do to help once my son or daughter is signed up? All the work of Little League baseball in our community is done by volunteers. That includes all the coaches, the league commissioners who organize the schedules, the folks running the concession stands, and the parent dragging the infield dirt after each game. So once your kid is playing, even if you can’t volunteer to coach, step up and help out the coaches by keeping the young kids organized in the dugout, or just grab the metal grate and drag the field keeping the weeds at bay after each game. One of the nice things about Little League is there are small and big volunteer opportunities and people really do step up and help so you won’t be alone in your efforts.